I really do know how to pick ‘em. I have an abysmal track record in choosing TV shows to watch. For every long running TV show in my collection, I have half a dozen shows that were prematurely cancelled, only made it to one season, or were cancelled after just twelve episodes. 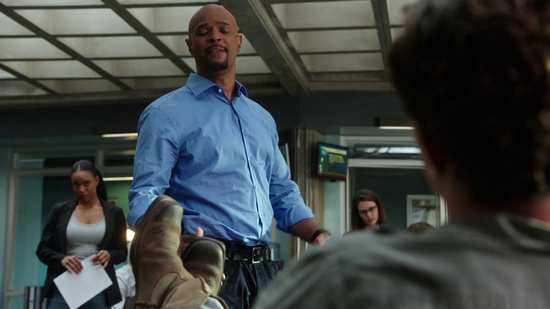 I had my misgivings about translating a favourite movie franchise to the small screen, but I have to say that Season 1 of Lethal Weapon proved me wrong. I liked it a lot, and more importantly, so did the fans. I waited before a second season was being broadcast before I bought this Blu-ray release and even then, I bought it second hand (got to love that scratchproof coating! I never would have bought a second hand DVD). But then I watched that second season. At first, the writing seemed off, some stupid unbelievable stunts, and the problem of maintaining a character’s suicidal grief (the movies gave up on that after the first sequel), but then the rot really set in. 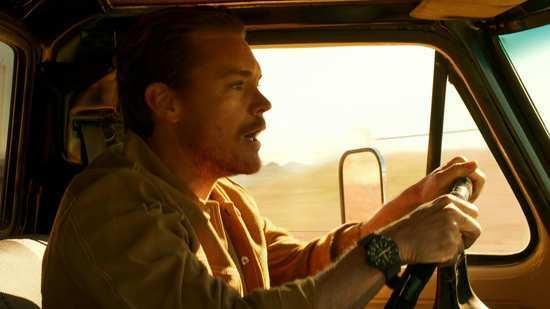 On set rumours of the two leads falling out, confirmed towards the end of the season when the lead actors would share just a few seconds each episode on screen, not good in a buddy cop series, leading to the end of the season and Clayne Crawford (Martin Riggs) being fired. It’s a classic case of two stars unable to get along, and the one with the bigger trailer and the bigger pay-check staying on. Alas the “Lethal Weapon” is the whole point of the show, comedian to the “I’m too old for this s***” straight-man. Season 3 continues with Seann William “Stifler” Scott as the new resident lunatic, but regardless of how good this new show turns out to be, it’s not going to be the show that I bought into. In effect, Lethal Weapon is another one-season wonder. But how good is that first season? 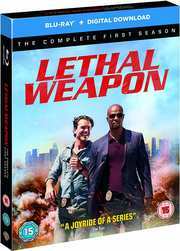 The eighteen episodes of Lethal Weapon Season 1 are presented across 3 discs from Warner Brothers. What looks like an open and shut case of suicide turns a lot more complicated when the forensics don’t match up. Investigating the victim’s place of work uncovers a drug smuggling operation. The new partners are already scaring the insurance companies, so Captain Brooks Avery assigns them a simple noise complaint. But the noise at this party comes from an experimental machine gun, and while a pro-boxer is the victim, he may not have been the target. When an armoured truck is raided, the suspect list is short, limited to those who knew the route. But things get complicated when the suspects are found murdered. A break-in in Murtaugh’s affluent neighbourhood takes him back to his roots, and this particular crew is about to graduate from burglary to murder. 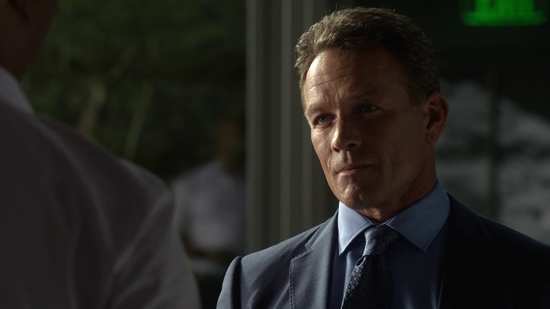 Someone overreacting to failing a job interview and going berserk isn’t exactly robbery/homicide, but Chad Jackson is a former Navy SEAL, one of Riggs’ own, and he might just be crazier than Riggs. A girl murdered by sports car leads Riggs and Murtaugh to the kind of Hollywood royalty party that gives Hollywood royalty a bad name. And then Riggs sees Miranda’s old roommate Rachel there, and she’s not a guest. A dead body leading into a complex money laundering situation would seem the perfect job for robbery/homicide, but DEA Agent Karen Palmer doesn’t need Riggs and Murtaugh interfering in her case. 8. Can I Get a Witness? A raid on a casino nets a cool million, but it turns out that an eye-witness couldn’t actually have seen what she saw. Before she can be questioned, she’s attacked in her own home. It turns out she was covering for the actual witness, her son. A girl thrown off a high rise balcony seems like just another homicide, but it gets personal for Riggs when a member of a Mexican Cartel that he encountered back in Texas is the prime suspect. The designer drugs may be legal, but the criminals still want their cut. 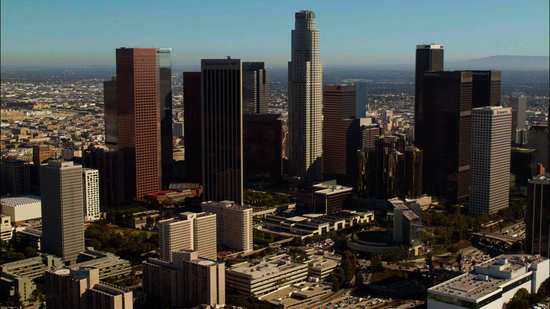 When a rave promoter is murdered, it leads Riggs and Murtaugh to Koreatown. A Texas Ranger has been killed, his prisoner freed, and it looks like an inside job. 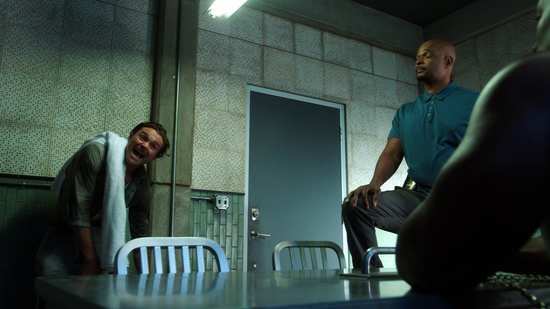 Someone in the LA Sheriff’s office is dirty, but worse, they have dirt on Riggs and Murtaugh’s Captain, Brooks Avery. Trying to steal a car from the LAPD lock-up is daft, but when it turns out that car has $2 million in cocaine hidden in the doors, you can understand the criminal desperation. The problem is that the suspect is Trish Murtaugh’s client. A dead broker who had been cheating on his wife, dies of a forced drug overdose and has the word sinner carved into his back. A church would be the logical place to investigate, but Riggs has sins of his own to contemplate. Ever since Riggs moved to LA, psychologist Maureen Cahill has been treating him, but when her boyfriend is murdered, she needs more than counselling with a stalker on the loose. A meeting between a criminal turned potential state witness and a DEA agent turns into a bloodbath when a doughnut shop is shot up. The only survivor is a weasel of a lawyer named Leo Getz, and he’s not the most reliable witness. The world of college football is a bloodthirsty business at the best of times, but when an aspiring player is shot, and his cousin murdered, it’s time for Riggs and Murtaugh to tackle the case. A CIA agent turned cartel enforcer is after a mother and her baby, but the case reopens old wounds for Martin Riggs when the killer, a man named Gideon is implicated in Miranda’s death. It’s Riggs’ chance to get to the truth behind his wife’s death, but to do so he’ll have to bend the law. Well, shatter it really. 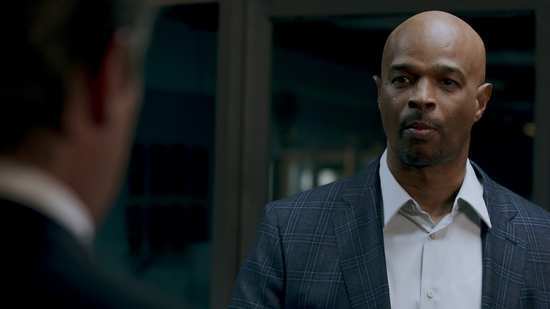 Can Murtaugh remain loyal to a partner so unhinged? Lethal Weapon gets a 1.78:1 widescreen 1080p transfer on these discs, and despite the content (disc 1 effectively has seven 45-minute episodes on it), the show looks pretty good on these discs. The image is clear and sharp, colours are rich and consistent, detail levels are strong, and it certainly looks more robust than ITV’s HD broadcast of the same. 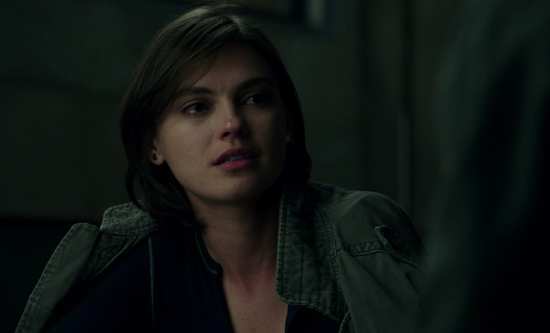 Having said all that, darker scenes betray the show’s digital cinematography a little too easily, prone to softness and even a little ghosting. You have the choice between DTS-HD MA 5.1 Surround English, Dolby Digital 5.1 Surround German and Dolby Digital 2.0 Stereo French and Spanish, with subtitles in these languages, Danish, Dutch, Finnish, Norwegian, and Swedish. The audio is fine, the surround put to good use in conveying the action, and the dialogue is clear throughout. The music is binary, either very good, or when they opt for contemporary pop music, very bad. You might feel the urge to switch off when an episode starts, you get a panoramic shot of LA with some talentless larvae’s so called hip-hop dirge introducing the action. I know I certainly do. You get 3 discs in a BD Amaray case, with two either side of a centrally hinged panel. There is also a UV code for a digital copy, and you get the episode info printed on the inner sleeve. The whole thing is presented in a card slipcase that repeats the sleeve art and blurb. The discs boot to static menus. The aforementioned Deleted Scenes are presented alongside their respective episodes, and the pilot episode has the extended version as an optional extra. 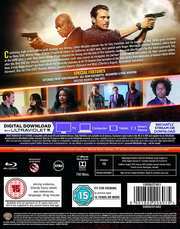 On Disc 3 you’ll find the featurette Reloading Lethal Weapon which sees Johnathan Fernandez (Scorsese) talking to executive producers Matt Miller and Jennifer Gwartz about the first season. This lasts 15:41. Finally there is a Gag Reel which lasts 2:53. As I was reviewing this title, the news was announced that Damon Wayans was quitting Lethal Weapon. What started off as one of the better TV shows of the season has over the space of two and a half years turned into a total train-wreck. The best thing that they can do now is put it out of its misery. But this first season is really quite good. 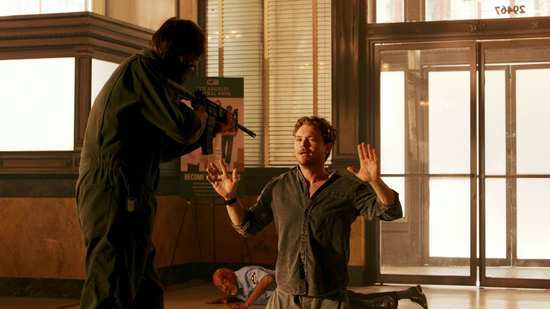 Regardless of what was happening behind the scenes, the producers had captured lightning in a bottle with Damon Wayans and Clayne Crawford, as their screen chemistry was excellent. What’s more the show, while it had the same premise, was sufficiently different from the feature films that inspired it to have an identity all its own. The Lethal Weapon films quickly became comedies, and part of that was the focus on the zany lunatic side of Martin Riggs and not so much the grieving widower aspect of the character. That’s understandable. A film has just two hours to make a statement, and for an action movie, dwelling too much on character nuance tends to slow the pace down. In the series however, you have 20-odd hours a season of story to tell, and that gives you the opportunity to better examine character. 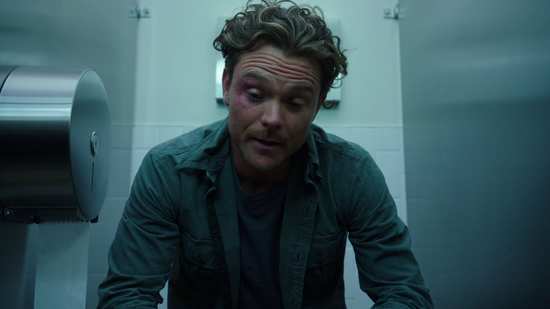 Clayne Crawford’s Martin Riggs is defined more by his grief, and he brings pathos and a reality to the character that underlies his manic, self-destructive edge. 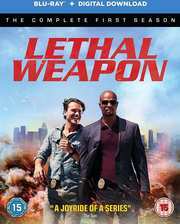 If Riggs and Murtaugh are an analogue to a comedy double act, then Riggs as the ‘funny guy’ brings the emotion to the table, and it’s down to the straight man, Murtaugh to react, and Damon Wayans brings the perfect blend of sympathy and frustration to his character, having to deal with this broken man who is assigned as his partner, and who takes it on himself to try and rehabilitate him. Speaking of rehabilitation, there’s a great relationship between Riggs and the police psychologist Cahill, a more believable doctor patient interaction than the purely comedic byplay that happened in the films. So with a more grounded background to the characters and the story, it serves as a strong foundation to build a police procedural upon. Every episode brings across some crime for our plucky duo to investigate while bickering like an old married couple. 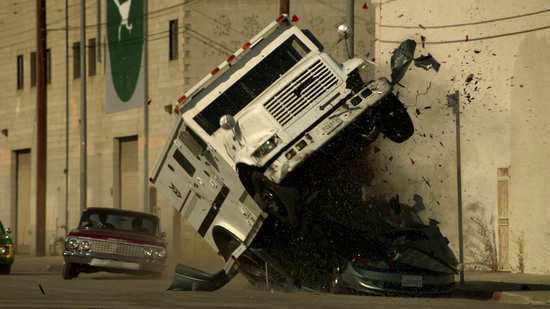 There’s a whole lot of action, stunts, and gunplay to help it live up to the Lethal Weapon moniker. There is also an overall story arc, not only focusing on Riggs gradually coming to terms with the loss of his wife, and staring to appreciate life again, but there is also the mystery behind the traffic accident in which his wife died, which leads to the series cliff-hanger. Unfortunately resolving that cliff-hanger would involve buying Season 2, and that is where this show falls apart. It’s not all great in Season 1 either. The central duo is great, the stories are good, the action excellent, but when it comes to the supporting cast, things get a little variable. Captain Brooks Avery is entertaining, and a lot more sustainable than a clichéd shouty police captain would be, while Scorsese, the forensics guy brings a typically macabre humour to the role. But fellow cop Bailey is bland and forgettable, while Cruz is painfully bad as the first in a conveyor belt line of partners for her. And then there is the Murtaugh family, the sitcom within the police procedural. They’re like a lead weight in the show, the forced humour that we have to sit through before we get back to the good stuff. The films at least organically integrated the Murtaugh clan into their storylines; not so much here. 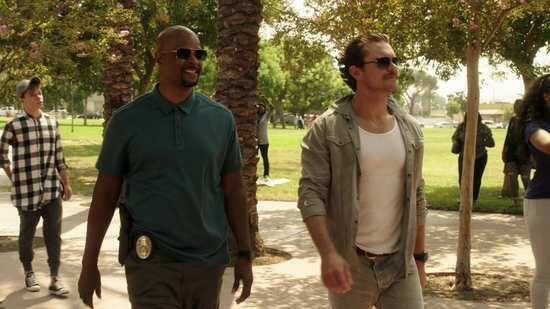 Season 1 of Lethal Weapon went through all the growing pains that first seasons tend to go through, but it’s an entertaining and likeable show that does justice to the legacy of the feature films while forging its own identity. I really do like the way that the show would touch on the original films, little reminiscences that you might recognise and be charmed by, but wouldn’t lose anything by missing out. 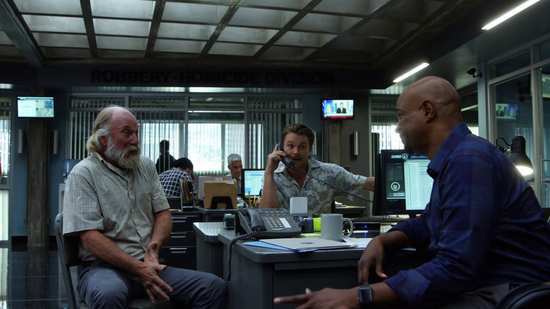 If you’re going to watch the Lethal Weapon TV show, then this is the season to watch. The rest of it is a total Brexit!